Hinged lid ensures that grit / salt is protected from the elements. 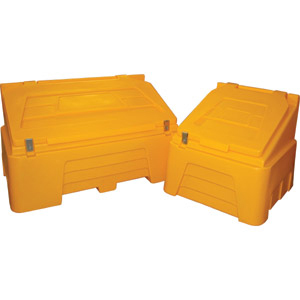 Bins will not discolour or deteriorate through long-term exposure to cold weather. Lockable clasps are included.